DUNN, NC -- Dunn police say a 4-month-old baby was found in a hotel room Sunday morning where a person was making meth. Wright had several bottles of liquid with him in the bathroom, one which held a blue crystal-like substance. Narcotics units later confirmed there was a meth lab in the room. 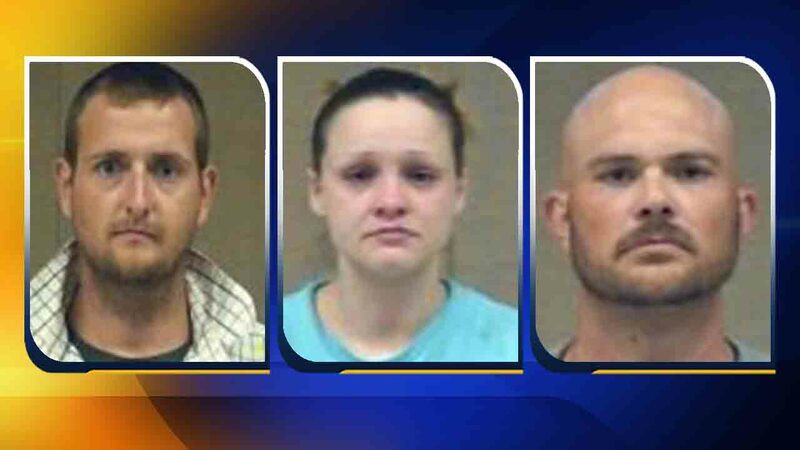 Police said that all three people were arrested and charged with manufacturing methamphetamine and possession of methamphetamine. The Department of Social Services was contacted to care for the child.